May is Historic Preservation Month and Historic Denver was engaged in many events and advocacy work that reminded us why we do the work we do- but we hope this article will also encourage you to take preservation action of your own because Denver can’t continue to be Denver without your help. Even though Preservation month is over you can still take these following steps to help your community and show your support of why the preservation of places matter to you? Historic Denver membership isn’t just about raising money, it’s also an important opportunity to show you value our City’s heritage. Plus, the larger our membership the larger our voice is on the critical issues you care about. Members are in-the-know about what’s happening in our City, and receive great benefits including this newsletter, invitations to special events, discounts and more. Information is available at historicdenver.org. This year’s photo contest winner will receive a gift card to Mike’s Camera, and photos will be featured on our social media pages, including the Historic Denver Facebook page. Snapping photos of the places that make Denver Denver helps spread the word about the importance of authentic historic places in our everyday lives. You can still do this even after Preservation Month. We love to see photos of structures around our city. 3) Submit a Historic Place to DiscoverDenver.co. Did you know Historic Denver manages the Discover Denver Citywide Survey project with the City of Denver? You can share a picture and a story about a place that matters to you on the project website, which helps the field surveyors and the research volunteers identify special places that are worthy of community consideration. You can also peruse the submissions of others, and see what our team has found in diverse neighborhoods from Harvey Park to City Park West! You can also find out how to volunteer to support Discover Denver. 4) Call or E-Mail Your State Representative to support the reauthorization of the Colorado State Tax Credit. Historic Denver and our partners have been working for several months to have both the commercial and residential tax credits reauthorized so that preservation projects have the support they need. Historic preservation tax credits are among the only tax credits that ultimately pay for themselves through impressive economic impacts, and recently the credits have also been used to repurpose historic buildings into affordable housing- a win win for our City. This tax credit was approved and signed into law on May 30, 2018 by Governor Hickenlooper! Read more about this effort on: Click Here! 5) Call or E-Mail Your City Council member and tell them why preservation matters to you, and share a place you want to see endure, whether it’s Larimer Square, City Park or the homes on your block. You don’t have to wait for a preservation crises to express your thoughts about the value of historic places. 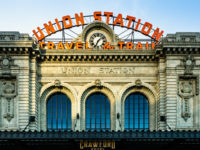 With several citywide planning initiatives underway, including Blueprint Denver and a task force studying Denver’s Landmark Ordinance, preservation is a relevant and important topic. 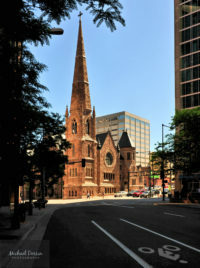 6) Invite You Friends and Family on a Historic Denver Walking Tour. Our 2018 Walking Tour season starts May 1 and takes you into some of our City’s most enduring, and most exciting, urban neighborhoods. Stroll LoDo, trek through Capitol Hill, or take in the view from the Daniels & Fisher Tower while seeing the City with new eyes and the expert guidance of our dynamic docents. Tickets are available at historicdenver.org. Members enjoy a discount! 7) Talk to Your Neighbors about preserving the unique history and character of your community. Almost all preservation efforts start with a grassroots conversation among friends and neighbors. If you have ideas about how your neighborhood can honor its heritage, whether it’s through interpretation, supporting your local businesses, or something more formal, getting everyone engaged is the first step. And, don’t forget that Historic Denver offers support for grassroots activities through our Action Fund. The next deadline is June 1. 8) Protect Your Home or Building. If you own a special home or building the best thing you can do is take action to protect it today. There are many ways to ensure that your property remains intact long into the future. 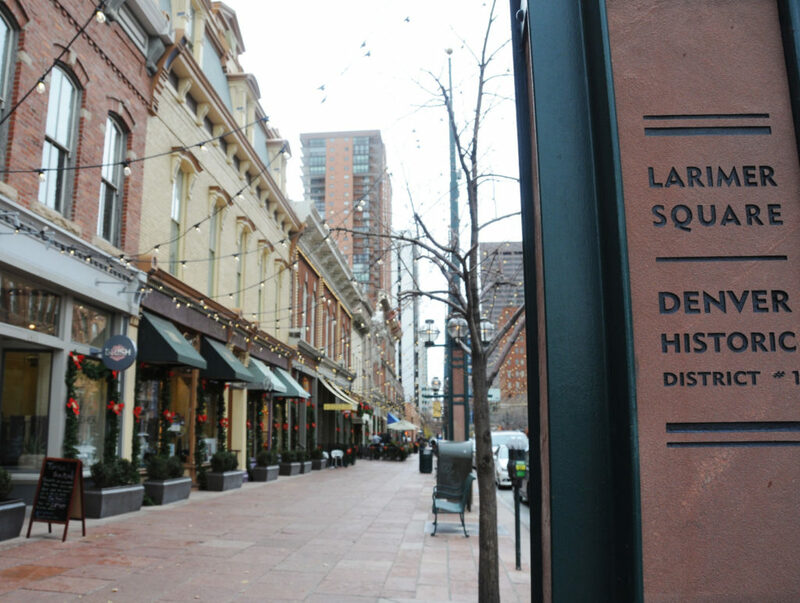 If your building meets Denver’s designation criteria you can pursue local landmark status. 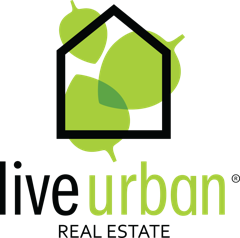 You can also explore National Register listing, deed restrictions, covenants or easements. Historic Denver is happy to answer your questions about these tools. Don’t own the building you most love? Take a few minutes to find out who does and give them a call to ask whether they’d consider any of these options. 9) Thank the Owner of Your Favorite Historic Place. Preservation relies on great stewards who are willing to restore, rehabilitate and reinvest in the places that make Denver Denver. It’s important to remember, and be grateful for the many places that are lovingly cared for and that serve as irreplaceable resources in our community. 10) Visit a Historic Site, including our own Molly Brown House Museum. Connecting with historic places can refresh the spirit, engage the mind, and remind us the value these places bring to our City. We hope you’ll stop by to see our recent restoration work at the Molly Brown House Museum, or visit one of our partner sites, including the Black America West Museum, Four Mile House, Byers Evans House (now the Center for Colorado Women’s History), or the newly reopened historic studio at the Kirkland Museum. Each generation must commit to preserving the places that give our City meaning, character and diverse culture. Taking these actions during Preservation Month will show your commitment, and help Historic Denver renew the City’s commitment to maintaining, celebrating, and identifying the places that make Denver Denver.